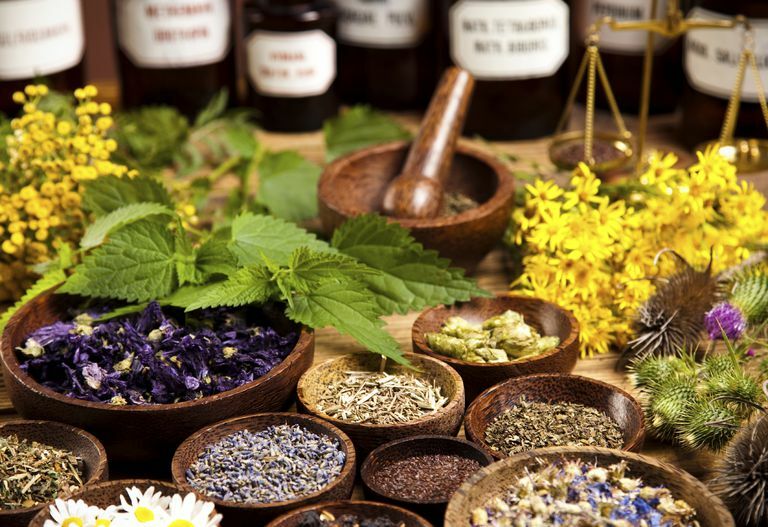 Homeopathic medicine or homeopathy is a form of complementary and alternative medicine that uses very small amounts of natural substances, which in higher amounts would cause a disease. This branch of medicine came into being in the 19th century and was used frequently at the time. Interestingly, the first studies using homeopathic remedies were done on healthy volunteers—similar to many clinical trials done today. While the use of homeopathy has fallen off with the advent of newer conventional treatments, there are over 2000 substances that have been utilized as homeopathic treatments. What exactly is homeopathic medicine? How does it work? What do the studies say about its effectiveness and how does it compare with traditional medical options? What are the possible side effects and risks of these therapies? The Theory Behind Homeopathic Medicine: "Like Cures Like"
The theory behind this form of medicine is that "like cures like," and that a substance that causes an illness in a healthy person might cure those symptoms in someone who is ill. It's believed by practitioners of homeopathy that a small amount of the substance which causes a disease will stimulate the body to heal itself. Though this may sound far-fetched, the theory is somewhat analogous to the basis of vaccination in modern day medicine; with immunizations, the exposure to a small amount of a killed or inactivated microbe can result in protection against developing the disease. The law of similars: The law of similars refers to the "like cures like" theory noted above. The principle of the single remedy: This principle holds that a single remedy should cover the physical, emotional, and mental symptoms of an illness combined. The principle of the minimum dose: Only a small amount of substance is first used in a few doses, followed by an infinitesimal amount over time. Results on the effectiveness of homeopathic remedies have been inconsistent, primarily due to the lack of any widespread regulation of the practice. This makes the “dosage” or amount of a homeopathic medicine present in any particular formulation variable. A 2016 review of the literature evaluated the study design and results of studies involving homeopathic remedies to date. The conclusion was that individualized homeopathy may have small specific treatment effects. It's likely that further "evidence-based" studies will fill in more details on both the safety and efficacy of homeopathic remedies in the future. A large 2018 review of articles published in the Cochrane Database of Systematic Reviews, looked at on of the more common claims about homeopathic medicines; that they may play a role in preventing or treating acute respiratory tract infections in children. According to this review, there was no evidence that these treatments were effective. Due to the quality of reporting of possible adverse effects of homeopathic treatments in the studies reviewed, the researchers were unable to draw any conclusions about the safety of these treatments. As with other medical conditions, the role of homeopathic remedies for people with cancer is largely unknown. Animal studies have found that homeopathic remedies—when used along with conventional therapies—may have an inhibitory effect on cancer and also reduce symptoms and improve ​quality of life. At the current time, however, we don't know if these studies on animals can be applied to humans, and further research is needed to address this question. Homeopathic remedies generally have a reasonable safety profile since only a small amount of an active substance is used in high dilution. Individuals who are pregnant or receiving treatment for a serious medical condition should talk with their physicians before using these remedies, as well as any other form of alternative medical care. It is extremely important to point out that homeopathic remedies do not replace the need for conventional medicine for most medical conditions. For example, with regard to cancer treatment, there is no evidence that these substances have any effect whatsoever. If used instead of traditional treatments which have found to be effective in well-designed clinical studies, these remedies have the potential to increase rather than improve pain and suffering. While many of these treatments are unlikely to be detrimental when combined with conventional treatments, it is important to talk to your doctor about any and all homeopathic or nutritional supplements you wish to use. We do know that some vitamin and mineral supplements may interfere with cancer treatments such as chemotherapy or radiation therapy. Who Prescribes Homeopathic Remedies and Where Are They Available? Some homeopathic medications are available at health food stores, whereas others are available only through a naturopathic doctor or other specialists in integrative medicine. Homeopathic medicine differs from allopathic medicine (or mainstream, traditional, or conventional medicine) which uses agents (medicines, chemotherapy, surgery, etc.) that produce a different effect than the disease. You may wish to take a moment to learn more about homeopathic remedies. Examples: The cancer center Joe chose for his treatment, offers homeopathic treatments to help with symptoms, combined with traditional cancer treatments such as chemotherapy and radiation therapy. When conventional treatments are combined with alternative treatments by cancer centers, it is referred to as an integrative approach to cancer. Mathie, R., Rampersad, N., Legg, L. et al. Randomised, Double-Blind, Placebo-Controlled Trials of Non-Individualised Homeopathic Treatment: Systematic Review and Meta-Analysis. Systematic Reviews. 2017. 6(1):63. Mathie, R., Lloyd, S., Legg, L.et al. Randomised placebo-controlled trials of individualized homeopathic treatment: systematic review and meta-analysis. Systematic Reviews. 2014. 3:142. Mathie, R., Van Wassenhoven, M., Jacobs, J. et al. Model Validity and Risk of Bias in Randomised Placebo-Controlled Trials of Indiviualised Homeopathic Treatment. Complementary Therapies in Medicine. 2016. 25:120-5. Hawke, K., van Driel, M., buffington, B., McGuire, T., and D. King. Homeopathic Medicinal Products for Preventing and Treating Acute Respiratory Infections in Children. Cochrane Database of Systematic Reviews. 2018. 4:CD005974.